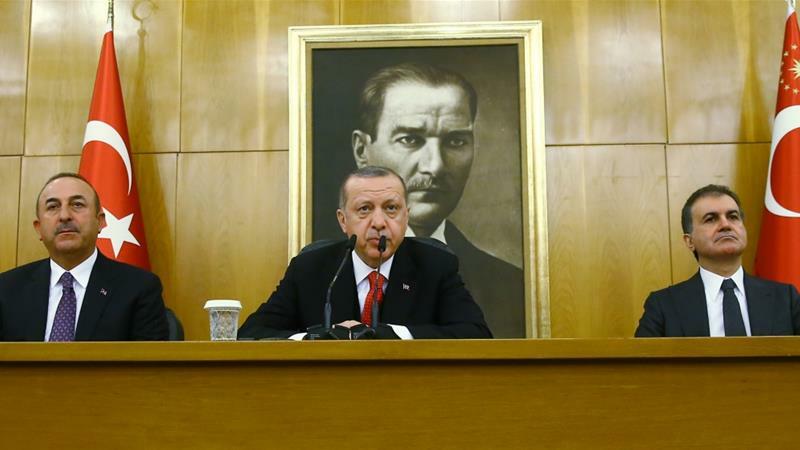 Erdogan is set to be sworn in as president of Turkey after his election victory last month,the foreign leaders and dignitaries, including Russian Prime Minister Dmitry Medvedev, Venezuelan President Nicolas Maduro and Qatari Emir Sheikh Tamim bin Hamad Al Thani.nts. Erodgan after assuming charge of president of Turkey, is scheduled to announce his cabinet on Monday, which may result in policy changes in a number of areas. Turkish authorities ordered the dismissal of more than 18,500 state employees including police officers, soldiers and academics, in a decree published today. The Official Gazette said 18,632 people have been sacked including 8,998 police officers and 6,152 military personnel. Turkish media dubbed the decree as the “last” after officials previously indicated the state of emergency in place since July 2016 could end as today.